There were six dogs in the house. Four were in the living room with no food and water. Two were locked in the bedroom with no food and water. Every dog was extremely emaciated. There were feces and urine everywhere. The seven dog was found locked in a cage without water or food. The cruel situation was uncovered when officers went to the apartment to deliver an eviction notice. The surviving dogs were taken to Wake County Animal Services for care. None of them are currently available for adoption. 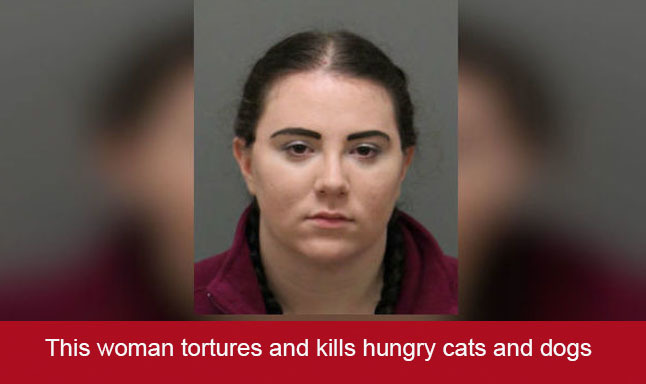 According to WRAL News, Baldwin is facing eight counts of killing an animal by starvation and seven counts of felony cruelty to animals. She was booked into the Wake County jail on a $45,000 bond.